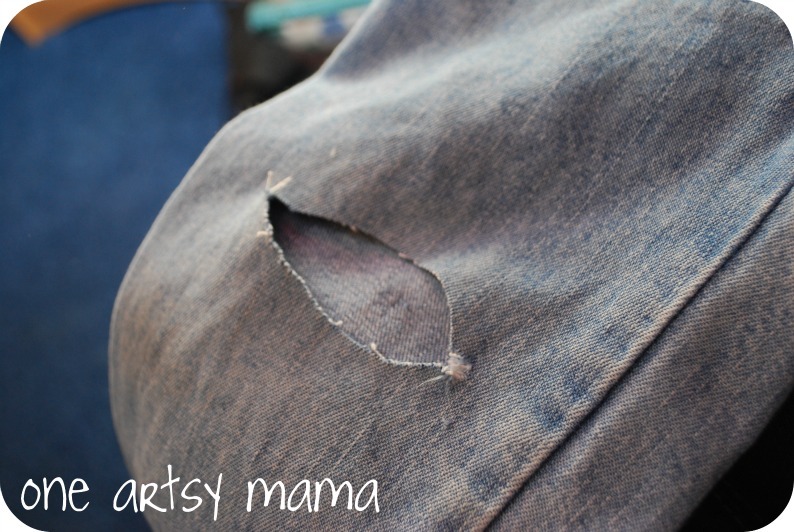 One Year Blog Anniversary Sponsor and Giveaway- “One Artsy Mama”! I am super excited to introduce my next one year blog anniversary blog sponsor, Amy from One Artsy Mama. Amy is also my blog mentor! She has been incredibly helpful in helping me to grow my blog. I reached out to Amy awhile back with a few questions and she was such a wonderful help with giving me advice. Since that very first contact, I have made a guest appearance on her blog, donated gifts for her birthday bash, joined her blog mentoring program and sponsored her Cameo Silhouette giveaway. I will let Amy take it from here! Hi, friends! 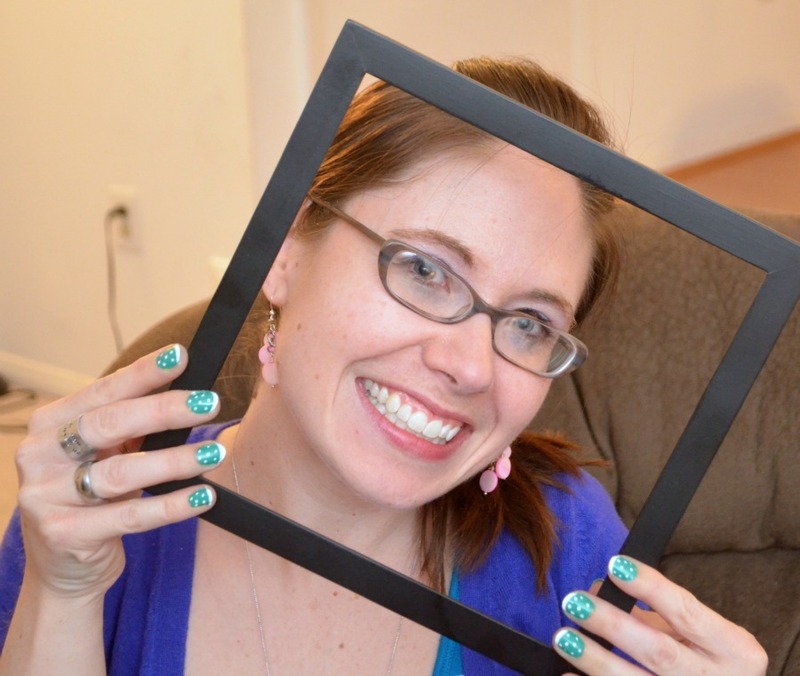 I’m Amy, aka, One Artsy Mama, and I’m thrilled to be here helping DeDe celebrate her blog’s first birthday! She asked me to share a post with you today, so I pulled out one of my all-time favorites from the archives. I hope you enjoy it. I love me a good project. Especially if it’s cheap, easy, and something my four-year old Little Crafter is going to love. I got this idea from a post I saw at Watch Out for the Woestmans and I thought it was just the cutest idea; perfect for a little man! 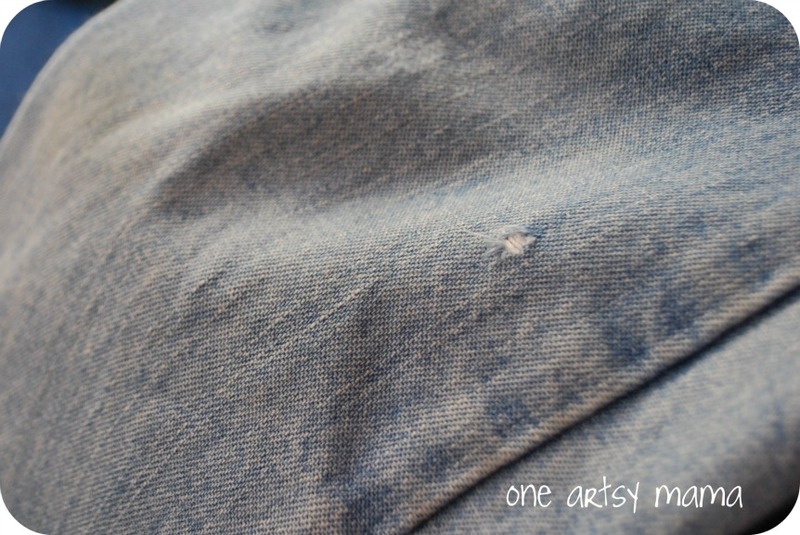 I joked that when I showed LC the picture, he’d start ripping his jeans on purpose, but the truth is…I’m the one who may or may not have done something like that. 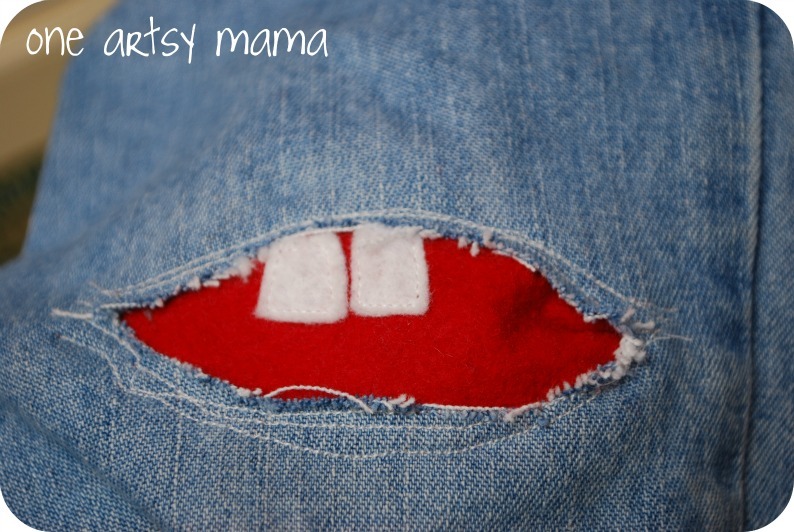 See, we were out shopping the other day and I noticed that Little Crafter’s jeans had a hole in them! See? It’s huge, isn’t it? Totally needs a patch. …or at least it did after I took the scissors to it. After I cut the big hole, I cut a piece of red felt that was slightly larger than the opening as well as two “teeth” from white felt. 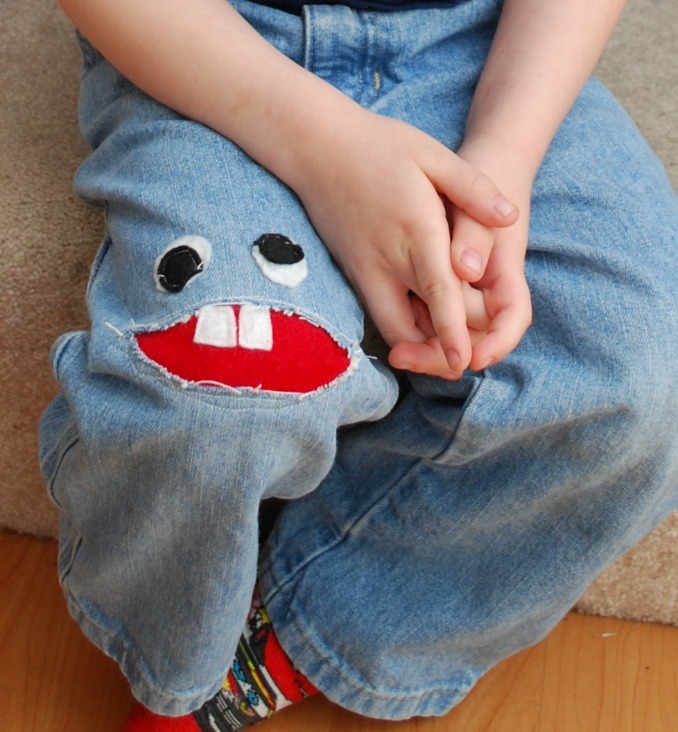 LC told me he wanted a “silly monster, not a scary one,” so we made some Mater-style chompers. 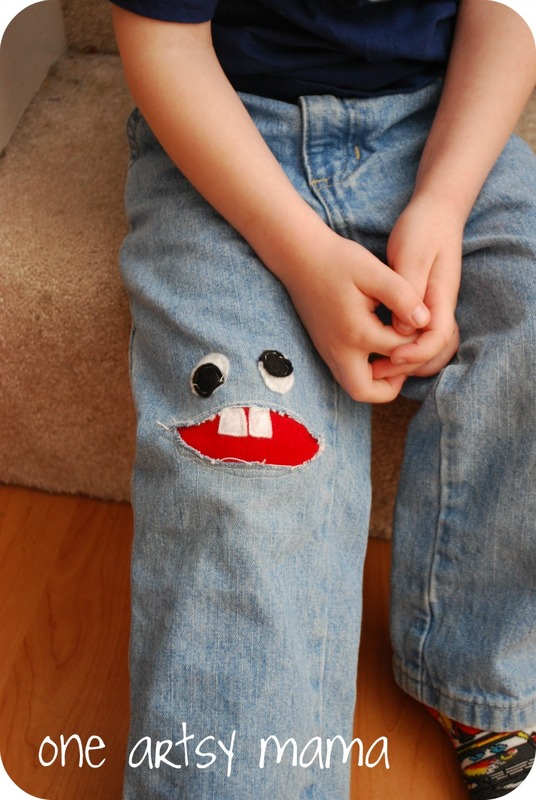 First, I sewed the teeth onto the red felt, then I sewed the whole deal onto the pants. The trickiest part of the whole thing was getting his little tiny pants leg to work around my sewing machine so I didn’t sew the leg together. I managed to do it with the mouth, but when it came to the eyes, there was no way to do it by machine; I had to hand stitch. I cut out two white felt circles and two black, stitched them together, then sewed them on the pants. I think it turned out just adorable…but not quite as cute as the model. Gosh, I love this kid! 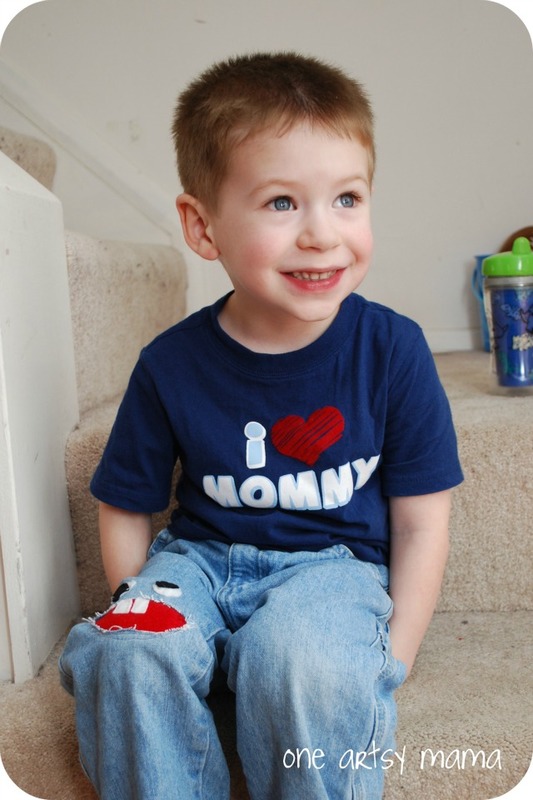 And I have to say that a whole year later, these are still his favorite pair of jeans. Every time they’re clean, he chooses to wear them. And we’ve gotten tons of comments and compliments from strangers when he’s modeling them out and about. 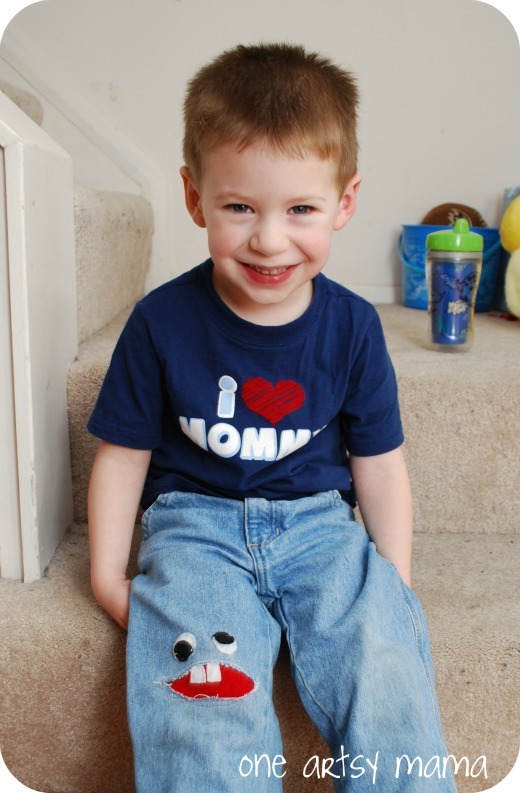 Now, the only problem is that he’ll be outgrowing them before long and I’ll have to make a new pair! 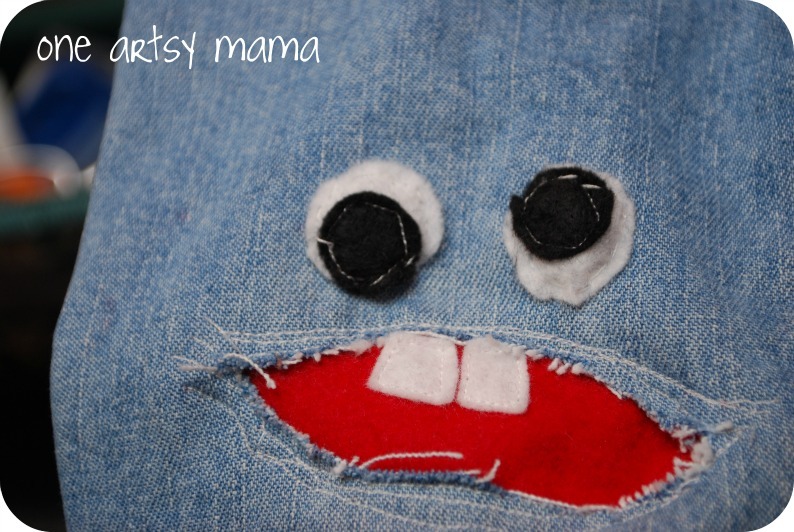 Happy ripping…I mean, crafting! By the way, I’d love for you to stop by One Artsy Mama and say hello if you enjoyed this project! There are lots more ideas for projects you can make for and with little ones, as well as jewelry tutorials, home decor projects, and more! Every Friday, we have a Shine on Fridays link party where you can share and gain a ton of inspiration, so I hope you’ll drop by and party with me! Amy Latta is the author of One Artsy Mama, where she shares a variety of project types including home decor, kids’ crafts, sewing, jewelry, and more. She is happiest when creating something and enjoys making all kinds of projects with her 4 year old “Little Crafter.” In her spare time, Amy is a professional ballroom, latin, and swing dancer. When not on the dance floor or crafting, you can probably find her at Starbucks. Amy is giving away a “1 month” ad spot of her wonderful blog. p style=”text-align: center;”>If you have not registered for the Awesome giveaway, please click HERE! « One Year Blog Anniversary Sponsor and Giveaway – The EmPURRium! Oh my gosh! 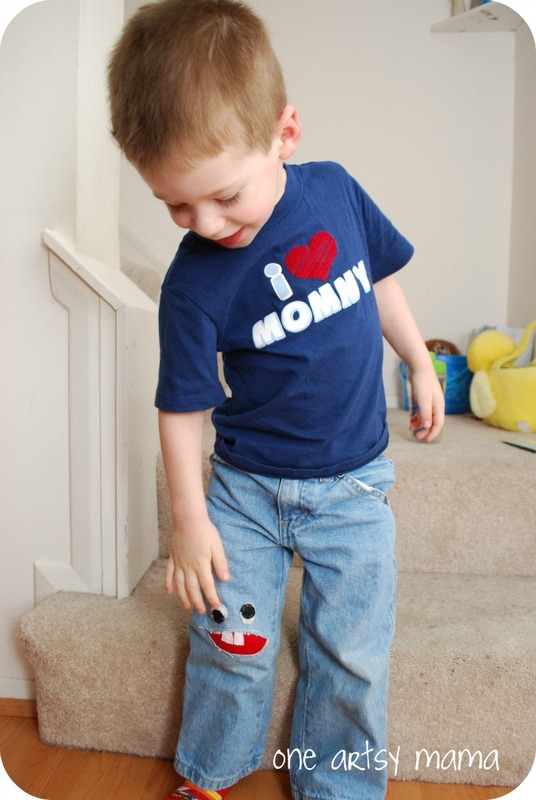 Those are the cutest jeans ever! I know my little one (and maybe my 14-yr old daughter too!) would love this! And happy b/day to Designed Decor!